This hand crafted custom armoire has a closet area and five oversized drawers, and can be customized with a variety of metal and wood handles. Standard size for these pieces is approx. 66" H x 46" W x 18" D, with other custom sizes available. This hand crafted armoire is perfect for storage, while serving as a colorful work of functional art. 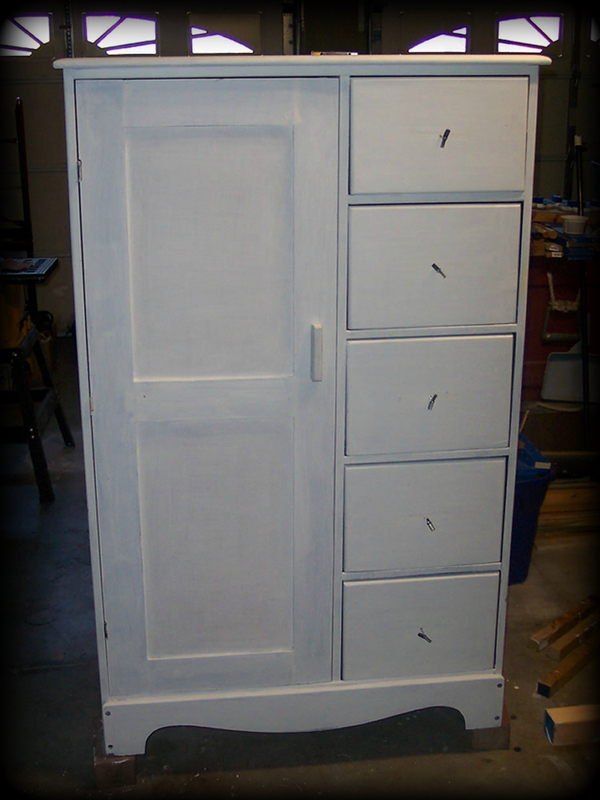 All of the themes featured on this site can be painted on this armoire design. Traditional metal or custom wood drawer pulls and handles are available, as each of our creations are tailored to the specific tastes of our clients. This piece is large, and can incur considerable shipping costs. For some orders, we can deliver to within 400 miles of our studio in Virginia. To order one of our custom painted armoires, or to order a unique work of painted furniture, simply visit our Contact page and complete our convenient form.